General Electric is finally giving demoralized shareholders and employees a reason for hope. The embattled company reported first-quarter results on Friday that were better than many feared. More importantly, GE eased concerns that another shoe wouid drop, standing by its 2018 financial targets. "The first quarter is a step forward in executing on our 2018 plan and we are seeing signs of progress in our performance," GE CEO John Flannery said in a statement. Wall Street breathed a big sigh of relief. GE's (GE) beaten-down stock bounced 5% and was among the day's best S&P 500 stocks. GE is on track for its best day since October 2015. GE highlighted progress by pointing to growth in industrial profit, free cash flow and margins. Adjusted earnings topped expectations by a wide margin. The maker of light bulbs, jet engines and MRI machines also slashed costs by $805 million. GE said it's on track to exceed its goal of cutting $2 billion in costs. GE's results "will not win any wards," Scott Davis, analyst at Melius Research wrote in a report titled "Baby steps out of the abyss." But Davis said that expectations were so low that "we just needed stability and we got it." Yet GE admitted it still faces challenging times ahead as it tries to recover from years of bad decisions under previous management. Profit at GE's beleaguered power division plunged by 38% as orders for natural gas and coal turbines continued to shrink. GE recently announced plans to slash 12,000 power jobs. Flannery said that GE Power is "making progress," but "the industry continues to be challenging and is trending softer than our forecast." GE also provided another reminder of its legal troubles. The company set aside another $1.5 billion to cover potential losses from a federal investigation into WMC, its discontinued subprime mortgage division. GE said it had settlement talks in March with the Department of Justice on the mortgage investigation. The company said discussions are "ongoing." GE did not provide an update on a separate probe by the SEC into its notoriously-aggressive accounting tactics. It's been a brutal past year for GE. Since taking over for longtime CEO Jeff Immelt, Flannery has made a series of alarming revelations about the extent of the company's financial problems. The iconic company has been forced to cut jobs, put long-held businesses up for sale and cut its dividend in half. 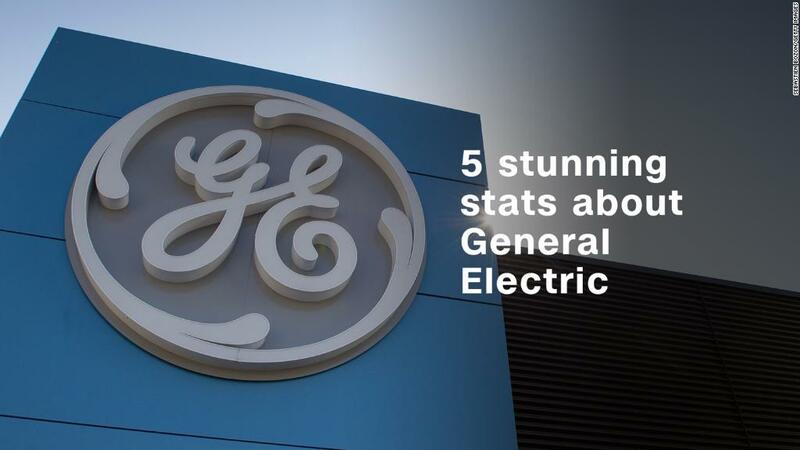 Despite those dramatic steps, GE's stock continued to plunge. It's the biggest loser in the Dow so far this year, after losing nearly half its value during the market boom of 2017. GE is also considering further dismantling its empire. Flannery said the company continues to explore the best structure and plans to disclose a plan in the next few months. Some analysts remain skeptical on GE's turnaround due to the problems in the power division. "We do not think it's worth wading into the shares despite the below-market valuation," CFRA Research analyst Jim Corridore wrote to clients on Friday.